This month marks the 100th anniversary of British Vogue. In celebration, the magazine has opened its archives for a sweeping exhibition of fashion, beauty, and portrait photography at London’s National Portrait Gallery. Spread across the entire ground floor, the show brings together works by legendary photographers, from Man Ray and Cecil Beaton to Mario Testino and Tim Walker. In amassing the collection, curator Robin Muir traversed the globe borrowing prints from private collectors and galleries, making this a once-in-a-lifetime gathering of these iconic images. 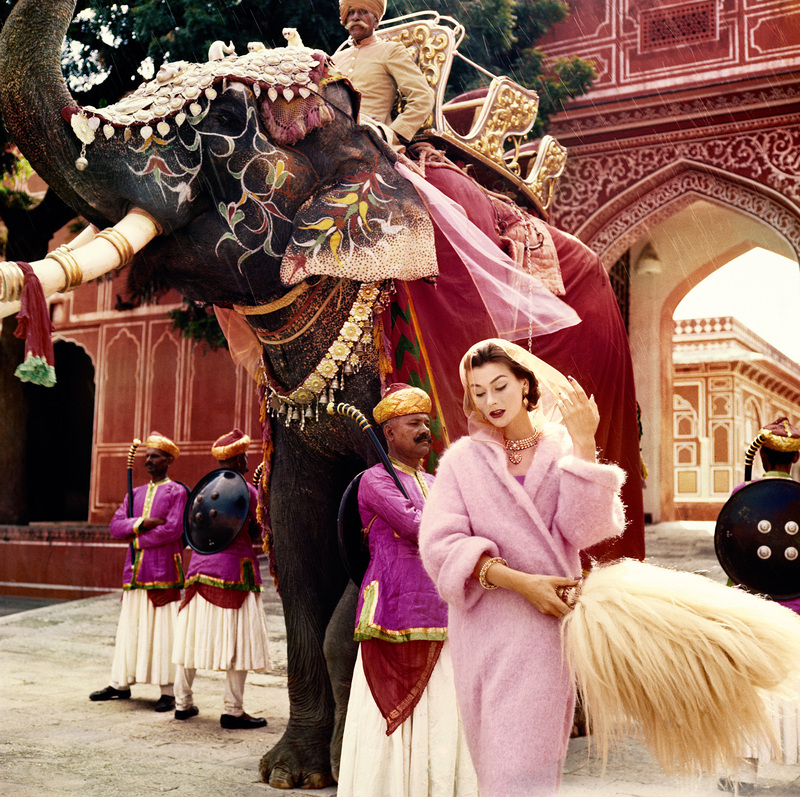 Picture credits: Anne Gunning in Jaipur by Norman Parkinson, 1956 © Norman Parkinson Ltd/Courtesy Norman Parkinson Archive; Limelight Nights by Helmut Newton, 1973 © The Condé Nast Publications Ltd; David Hockney, Peter Schlesinger and Maudie James by Cecil Beaton, 1968 ©The Condé Nast Publications Ltd.